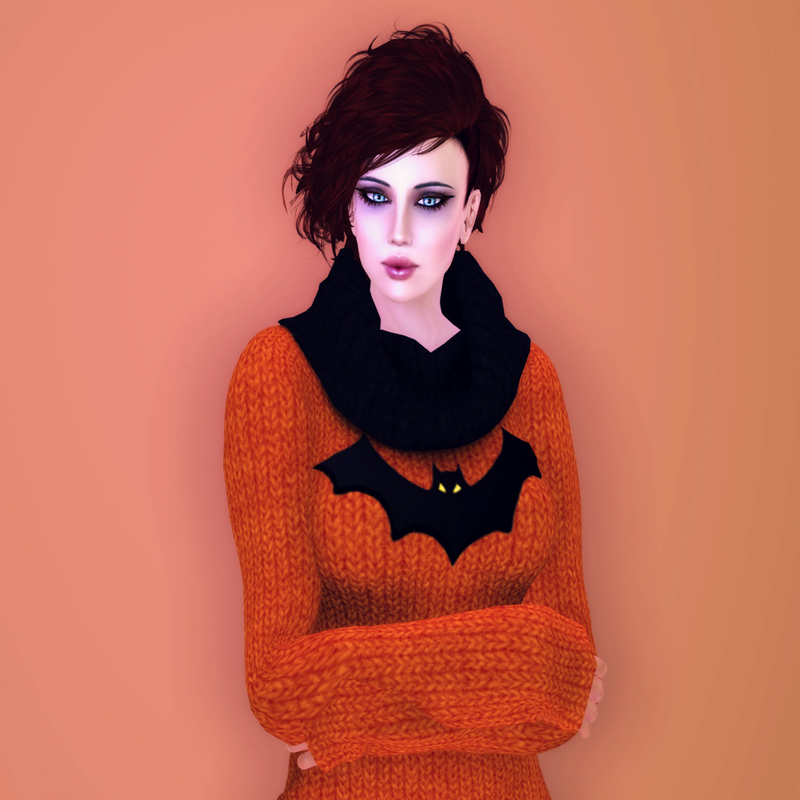 As it gets closer to Halloween, we’re seeing more and more pumpkins, vampires, zombies and witches flooding the grid. It’s fun to dress up like we did when we were kids, but it’s even more fun in Second Life because our choices are virtually limitless. No need to throw a sheet over our heads – we have a whole plethora of goblins and ghosties to choose from. And even if all we’re doing is curling up in the window seat to enjoy the spookiness du jour, it’s still a lot of fun. Both the window seat – complete with knickknacks on the shelves and 21 poses and the sweet pumpkin sweater dress are available this Tuesday only at the SLebrity SLection Street Sale for Cosmopolitan Sales Room for the grand price of 50L each. Yep, you read that right! The dress will be available in the Lumiere mainstore from Wednesday for 100L and the mesh window seat is normally priced at 275L at Piddler’s Perch. So you’d better hop on your broom and zoom over to pick up these sweet deals before they disappear like a wraith in the night.